Open reader view Are You Experiencing Seasonal Affective Disorder? As Tishrei comes to a close and we head into the “pre-Chanukah” stretch, one important topic that comes up often, especially with teens, is S.A.D. Seasonal depression, also known as Seasonal Affective Disorder (or SAD), is a mood disorder that most commonly occurs during the late fall and winter months when the weather changes and it gets darker earlier. Although there are no concrete causes of Seasonal Affective Disorder, it is thought that limited exposure to sunlight during winter months reduces natural levels of serotonin in the brain. Serotonin is responsible for mood regulation and weight management. When the brain is deprived of serotonin, the body responds by attempting to fill the void with external resources or by shutting down altogether. Symptoms of SAD include depression and suicidal thoughts, excessive sleeping, crying spells, and a lack of ability to connect with other people. Those who suffer from SAD may also experience a sudden loss of interest in the activities they were once passionate about. This empty feeling is best described as the loss of life’s purpose or a person’s sense of self. Some other patterns to watch out for include over-eating or compulsive snacking and isolation combined with irregular sleeping patterns. These are common coping mechanisms or escapes from the overwhelming wave of emotions associated with this disorder. Craving foods high in carbs is another sign of SAD. These “comfort” snacks serve as a distraction and, therefore, provide a sense of temporary stress relief. It is important to note that with teens, especially those in Yeshivas that are often in remote areas, the issues aren’t as clear. Many teens don’t understand where the feelings are coming from and very few associate with change in season with their subsequent shifting of mood. Additionally, teachers often don’t recognize the severity these issues, attributing them to “normal” teenage experiences. For this reason, educating yourself and your teen as to these issues is an important step. In terms of treatment for SAD, there are limited FDA approved options. Many of the medications can be habit forming or “overkill” for the disorder. There are many holistic options including light therapy. Light therapy, also known as phototherapy, is the process of exposing the body to artificial light that has the same benefits as natural light. This exposure helps to renew the body’s serotonin levels. Although phototherapy is not the same as getting actual sunlight as one would from being outdoors, it can serve as a temporary alternative to hold patients over until summer returns. While many Yeshivas do not have a formal “gym” or “sports program,” engaging in simple and individualized exercise can be both easy and effective. It can be as simple as purchasing a good pair of jogging shoes to run, a mobile pull-up bar that can be setup over the door, or small accoutrement’s like the “ultimate pushup,” ab-rollers, or a jump-rope. If there is a basketball court or soccer field, even if you don’t feel athletic, get involved! A little bit of consistent exercise can go a long way. An uplifting sound track can make all the difference in your mood during the day, so keep your music handy and use it as a tool when you are feeling down or unmotivated. Make sure to avoid music that triggers sadness or feelings of depression. Not every Yeshiva puts a focus on healthy food or meal management, so this is something you may have to go out of your way for. Make sure to balance out what you eat, how much you eat, and when/how often; you eat. This may mean purchasing supplemental snacks and healthy items as well as researching/printing out some healthy tips and guidelines. How you feel is largely impacted by how you eat. Yeshiva life tends to be one of an unpredictable schedule. Whether it’s late nights learning, farbrenging, Yom-Tov, events, tests, or just people in the dorm keeping you awake, you will need to make a concerted effort to ensure that you get enough sleep. A body without rest is like a car without gas, and your mood is often the first thing to take a hit. Additionally, things that are normally manageable can feel overwhelming without sleep. Making sure to set a bed time is critical even if it means buying headphones and an eye mask. While this may seem uncomfortable initially, seeing a professional for help can go a long way to ensuring that you have the tools and support needed to address the issues you face. 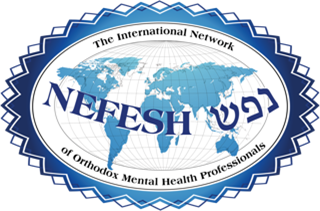 Not everything can be solved by yourself, and most Yeshivas do not have on-staff with experience with Mental Health/Mood disorders. All therapists can be seen privately and many can even be seen via telephone or video conferencing.